LEDMyplace introduces a lighting fixture which can solve your hallways and corridors lighting problems, LED Integrated Tube design to provide a dark-spot free illumination at you indoor vast spaces, While replacing old fluorescent fixture up to 160 watt and saving some extra money on your energy-bills. What is so special about LED Integrated Tube? 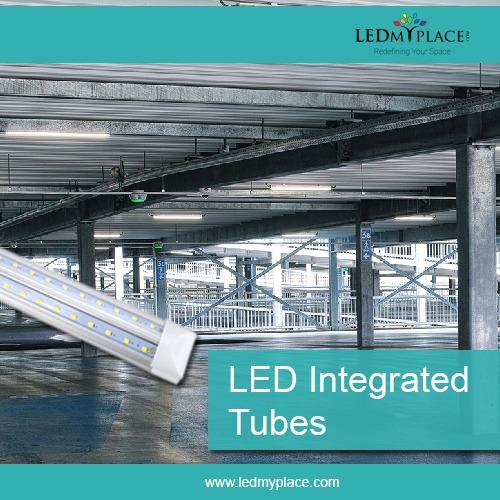 Basically the feature which differentiate these LED tubes from the ordinary ones, that you can connect these LED Integrated Tubes with each other (up to 8) by using a connecting cable. So, ready to have a energy-efficient, dark-spot free brightness at your indoors? Contact to our customers expert on (888-972-6211).